Music City Arts Update: Amy Allen to Celebrate 'Someday Is Today' CD with Concert in El Dorado, Ark. 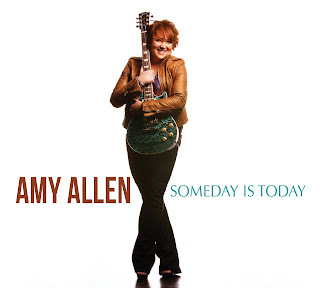 Amy Allen to Celebrate 'Someday Is Today' CD with Concert in El Dorado, Ark. NASHVILLE, Tenn. (August 2013) – Country/pop/Americana artist Amy Allen will celebrate the release of her second album on Aug. 17 (Saturday) with a hometown CD release party and concert at the South Arkansas Arts Center, 110 E. Fifth St.
Allen has spent the past two years writing and recording songs for her "Someday Is Today" CD, which features 11 original songs inspired by real-life experiences. She will celebrate with fans, friends and family during a ticketed cocktail reception at 6:30 p.m., followed by a two-hour concert at 7:30 p.m. The artist will be joined onstage by Nashville bass player Avery Gardner, sax and clarinet player Max Niederle, guitarist Rick Perry, and drummer/percussionist Mike Wagel. Former El Dorado resident Jody Lopez-Robinson will make a special guest appearance as background vocalist. The event is sponsored by Hepco Inc. and Possibilities. "El Dorado will be the first stop on my 'Someday Is Today Tour'," said Allen, who has performed at venues ranging from the White House in Washington, D.C., to the Ryman Auditorium in Nashville. "Every note I sing or every note or chord I strum is given with all of the love I have for the song I am performing. My voice is the voice of someone who has been down many different roads." 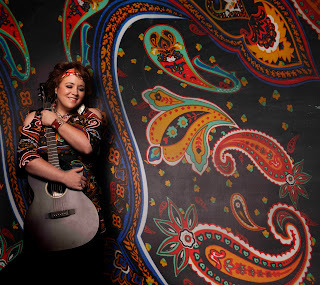 The artist describes her sound as a versatile mix of blues-accented country, pop and Americana with hints of Aretha Franklin, Janis Joplin, Elton John, and Patsy Cline. 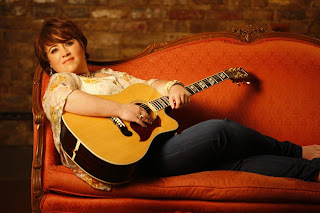 She has opened for country acts such as John Conlee, Patty Loveless, and Brooks & Dunn. El Dorado residents have enjoyed her performances at Fayrays on Elm Street. Tickets to Allen's Aug. 17 "Someday Is Today" CD release party and concert are $25 per person. Admission includes all-you-can-eat hors d'oeuvres, all-you-can-drink wine and beer, and two hours of live music. The concert will feature a mix of originals and covers. To buy tickets, visit the South Arkansas Arts Center box office at 110 E. Fifth St. Recorded in Nashville, "Someday Is Today" offers heartfelt ballads, mid-tempo crowd pleasers, and rock-accented dance numbers. Allen is joined by an all-star cast of Nashville session musicians, including guitarist Scott Neubert, background vocalists Jaimee Paul and Vickie Carrico, electric guitarist Jason Roller, and keyboardist Steve Peffer. The album, which retails for $15, is distributed by Wormwood Records. Allen left the music industry in 2001 to raise a family in her hometown of El Dorado. She is returning to the national stage with the help of noted producer Denny Martin, the Nashville Songwriters Association International, and others. Her concert tour, which will begin in September, will include stops in Arkansas, Tennessee, Virginia, Maryland, Pennsylvania and Texas. "I produce a lot of artists in my studio, and Amy is truly an original," said Denny Martin, who co-wrote her bluesy ballad, "Cryin' Time". "Her natural-given voice is stunning in its clarity and expressiveness. Her sense of humor and joyful personality come through in her writing and her singing. I consider myself extremely fortunate to know her, to write with her, and to produce her. The world is about to hear what I've been hearing for more than two years." Amy's songs are an emotional reflection of what's she's experienced as a singer, songwriter and mother. The title cut, "Someday Is Today", was written for individuals who are patiently waiting for their dreams to come true. Allen's passionate alto vocals express the joy of overcoming life's sometimes-difficult road to discover what she's always longed for -- making music to change lives. Her country/pop anthem encourages listeners to believe that anything is possible in a fast-changing world of constant doubt. The CD's 10th cut, the moving ballad "Putting the Music Back In Me", expresses love and appreciation to the teenaged girl who encouraged Allen to sing again. She shares a thought-provoking story when introducing the song at her concerts. Amy was only 20 years old when she was first "discovered" in an Arkansas honky-tonk by a music industry executive. Her rendition of Tina Turner's "Proud Mary" led her to the footsteps of Shoney's on Music Row and eventually a contract with an independent record label. 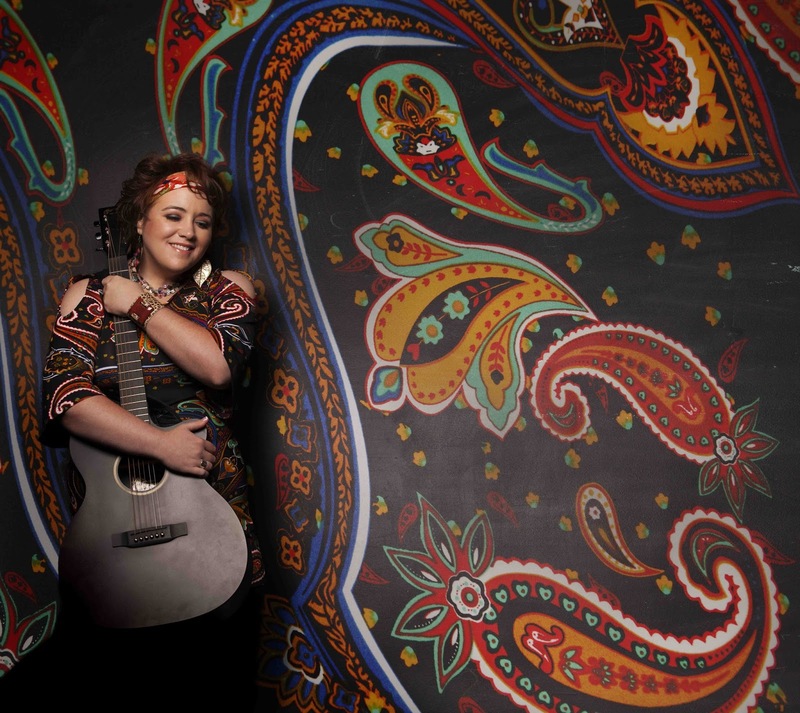 With stars in her eyes, she recorded her first album with some of Nashville's top musicians. Then came heartbreak. At age 22, Amy experienced a mild heart attack after going on a strict diet and losing more than 100 pounds. Although Amy was her ideal weight, she was told she must have plastic surgery to keep her contract. Amy faced a hard decision. She could continue to pursue her dreams under very difficult circumstances or return home to marry and raise a family. As her car climbed the ramp onto Interstate 40, she thought her days as a songwriter and singer in Nashville were over. Some years later, while going through a very difficult divorce, Amy heard a 12-year-old girl singing songs from her first album, "Night Vision". "It was as simple as that," Allen added. "Somehow, every emotion flooded through my body at that very moment, as well as the first realization that my musical story was not over. I wrote the song as a gift for that teenager. That experience is what led me back to Nashville." Allen's role as a loving parent is revealed in "Josie Rae", a mid-tempo country pop song that can easily be renamed to reflect any mother's love for a daughter. The singer-songwriter writes, "You make my world such a wonderful place to stay... Thanks for making everyday for me Mother's Day." The artist closes her "Someday Is Today" CD with the rocky, rousing, dance-inspiring "Tailshaker". Allen shows her versatility and ability to just let loose. She feels totally comfortable taking the nightclub stage, growling to her listeners, "I'm a tailshaker, money maker... I'm a woman, I'm an entertainer... I'm in a different town every night... And I bet you think you're my first Mr. Right...."
Allen joined the Winchesters soon after arriving in Nashville in the 1990s, appearing at tourist bars on Broadway and at festivals in Arkansas and Tennessee. The artist also served as a studio singer for Warner Music Nashville. She has taken the stage as a solo artist at the Statue of Liberty, the White House, the Ryman Auditorium, Disney's Magic Kingdom, Vanderbilt University, and the Garden Hotel in Machakos, Kenya. The artist delighted audiences for the first time at age 4 as a singing angel in the children's choir at First Christian Church in her hometown of El Dorado, Ark. With her grandmother's encouragement, she spent her childhood years soaking in recordings by artists such as BB King and The Rolling Stones. She was only 12 when she joined the Down Home Band as a vocalist and pianist, giving her first professional performance at the American Legion Club. The band played dozens of bars across Arkansas, Louisiana and Texas. She joined the Ralston Girls country duet at age 15, opening for country artists such as John Conlee, Patty Loveless and Brooks & Dunn. While attending South Arkansas Community College and the University of Arkansas, she sang and played guitar and piano for the band Spare Change. Since the release of her first album, "Night Vision", and return to her hometown of El Dorado, Ark., she has performed regularly at Fayrays restaurant; the South Arkansas Arts Center; hundreds of house parties and charity events; Timberlane Health and Rehab; and numerous churches. "I can sing the blues as well as put a tear in my beer with country music," Allen noted. "I have been blessed with diversity and the ability to touch people with different musical styles. Allen will take her "Someday Is Today Tour" to concert venues, arts centers, nightclubs, art galleries, hotels, casinos, festivals, assisted living centers, and churches. The "Someday Is Today" CD will be released on Sept. 24. Selected songs from the album are available for download at iTunes and other online retailers. A limited number of CDs will be available for pre-sale before, during and after the El Dorado event. For more information about the CD or booking Allen for an upcoming event, call (870) 918-4403, send an email message to info@TheAmyAllen.com, or mail correspondence to Wormwood Records, 736 Bodenhamer Drive, El Dorado, AR 71730. To learn more about the artist, visit http://www.TheAmyAllen.com. Media inquiries may be directed to Arts@WhitingPublicity.com or by calling (615) 423-9857. I have watched Amy Allen grow up from a little girl to a beautiful talented mother and entertainer. Her voice is impeccable and she can entertain one person or a full arena. Amy truly has been blessed and she knows it. Classic Rock, Blues and Country--Amy Allen can do it all! Amy is an unbelievably talented song writer, singer and pianist. She can move you to tears through her heart wrenching ballads and then get you out of your seat dancing and singing to classic rock and roll original songs and covers. I can't wait to celebrate the release of her latest CD, "Someday is Today" in El Dorado and urge everyone to attend. You don't want to miss it! !